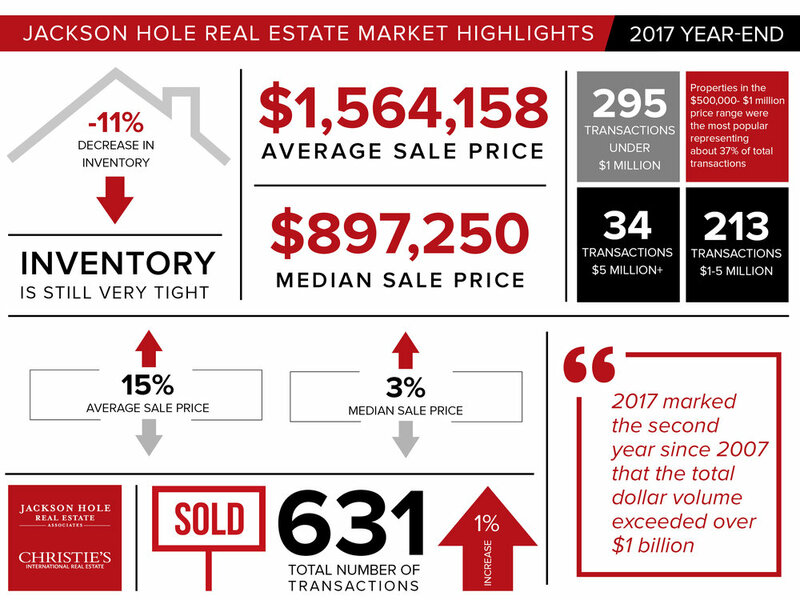 The Jackson Hole real estate market trended upwards in 2017, while our inventory continued to shrink. If you'd ever like to find out more, please feel free to knock on my door. A brief summary of the report is shown below. You can find the report in its entirety here.